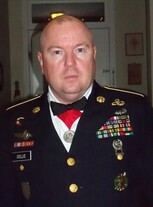 Will be in Iraq and hope to do the reunion via Skype or Yahoo. I am back and will retire after 29 years and move back toward Bailey, NC. Russell Collie Collie has a birthday today. Russell Collie Collie added a comment on his Profile. New comment added. Russell Collie Collie posted a message. Happy Birthday Madame, Hope you have a blessed day!! Russell Collie Collie updated his profile. View. Russell Collie Collie posted a message on Annette Waddell's Profile. Russell Collie Collie posted a message. New comment added. Happy Belated Birthday I tried to send it yesterday on Facebook, but I did not have it. No excuse, Hope your day was blessed! Russell Collie Collie posted a message on Joe Howard's Profile.